Not a morning person? These genes may be to blame. Researchers have identified several hundred snippets of DNA that are related to whether people prefer the morning or evening. Perhaps you are one of those peppy people who spring into action with the sunrise. Or perhaps you find that sort of person exhausting, and you do your best work in the evening. Actress Melissa McCarthy has an early bedtime. Should all adults? As with so many other human traits, genes seem to play a key role in the answer. In a new study of 450,000 people, researchers identified 351 genetic variants that were associated with chronotype — the scientific term for when a person prefers to sleep and wake. Individually, each variant was found to have just a slight connection with whether participants preferred the morning or evening. But collectively, the various genetic markers made an appreciable difference, the authors reported last month in Nature Communications. The 351 telltale snippets of DNA consisted of 24 that had been previously linked to chronotype and 327 new ones. Some of the new findings were plausible, in that the genes in question were known to be connected to how the body regulates various hormones, while others had no apparent connection to our daily rhythms. Now comes the hard work of sorting out cause and effect, and someday determining which of the genes might be useful in diagnosis and treatment. The study was led by researchers at the University of Exeter in England, with collaborators from the University of Pennsylvania, among other institutions. Contrary to what has been reported in some previous studies, the researchers found that night owls were no more likely than morning people to suffer from obesity or type-2 diabetes. The authors speculated that perhaps the true culprit in those diseases is not whether someone is a night owl, but whether there is a mismatch between a person’s work schedule and natural sleep rhythm — say, a morning person who is regularly assigned to work the graveyard shift. The study subjects were drawn from the UK Biobank, a powerful new database of genetic and health information that has been mined for thousands of studies in just the first two years. It is unusual because of its large size and the fact that participants contributed both genetic and detailed health information. Morning preference was more common in this group than in some past studies, perhaps because the average age of study subjects was in the late 50s, said Gehrman, whose coauthors included Diego R. Mazzotti, a geneticist at Penn. “Sometimes we can become more of a morning person as we age,” Gehrman said. To check the validity of having participants self-identify themselves as morning or evening people, researchers directly measured the sleep cycles of a subset of 85,760 participants — giving them electronic activity monitors to wear on their wrists for a week. Once again, the genetic evidence seemed to fit. 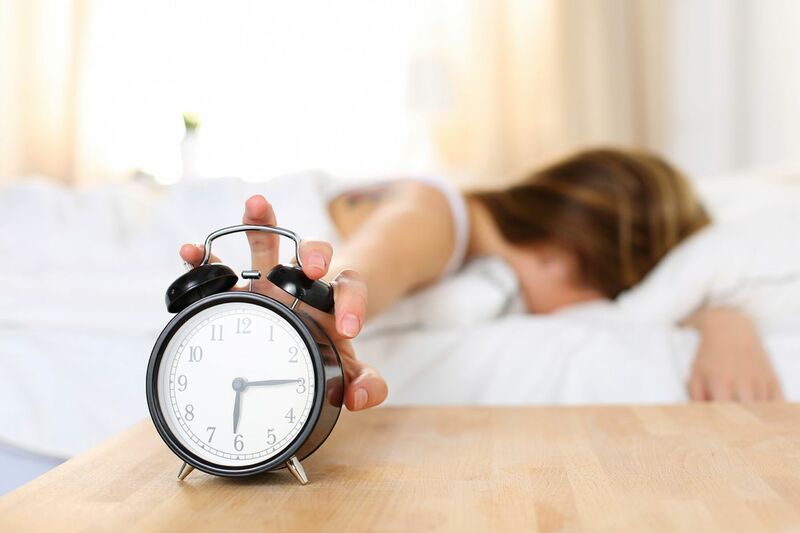 Those having the highest numbers of genetic variants associated with self-reported “morningness” did in fact have earlier sleep-wake cycles, by 25 minutes on average, when compared with people who had the least number of those genetic variants. People taking medication for sleep or psychiatric disorders were excluded from the study. While there is a genetic component to sleep-wake cycles, they can be altered with therapy. Gehrman said he sometimes treats patients who worked the night shift years ago, yet their bodies feel “stuck” on that cycle despite a shift to daytime employment. In such cases, he often uses light therapy to get patients back on track.